President Obama was on edge. For two exhausting months, he had been asking military advisers to give him a range of options for the war in Afghanistan. Instead, he felt that they were steering him toward one outcome and thwarting his search for an exit plan. He would later tell his White House aides that military leaders were "really cooking this thing in the direction they wanted." He was looking for choices that would limit U.S. involvement and provide a way out. His top three military advisers were unrelenting advocates for 40,000 more troops and an expanded mission that seemed to have no clear end. When his national security team gathered in the White House Situation Room on Veterans Day, Nov. 11, 2009, for its eighth strategy review session, the president erupted. "So what's my option? 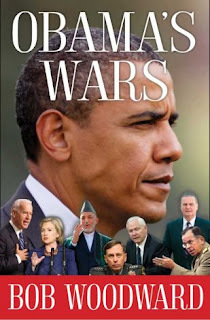 You have given me one option," Obama said, directly challenging the military leadership at the table, including Defense Secretary Robert M. Gates, Joint Chiefs Chairman Adm. Mike Mullen and Army Gen. David H. Petraeus, then head of U.S. Central Command. Mullen protested. "I think what we've tried to do here is present a range of options." Obama begged to differ. Two weren't even close to feasible, they all had acknowledged; the other two were variations on the 40,000. Silence descended on the room. Finally, Mullen said, "Well, yes, sir." Mullen later explained, "I didn't see any other path." This stark divide between the nation's civilian and military leaders dominated Obama's Afghanistan strategy review, creating a rift that persists to this day. So profound was the level of distrust that Obama ended up designing his own strategy, a lawyerly compromise among the feuding factions. As the president neared his final decision on how many troops to send, he dictated an unusual six-page document that one aide called a "terms sheet," as though the president were negotiating a business deal.